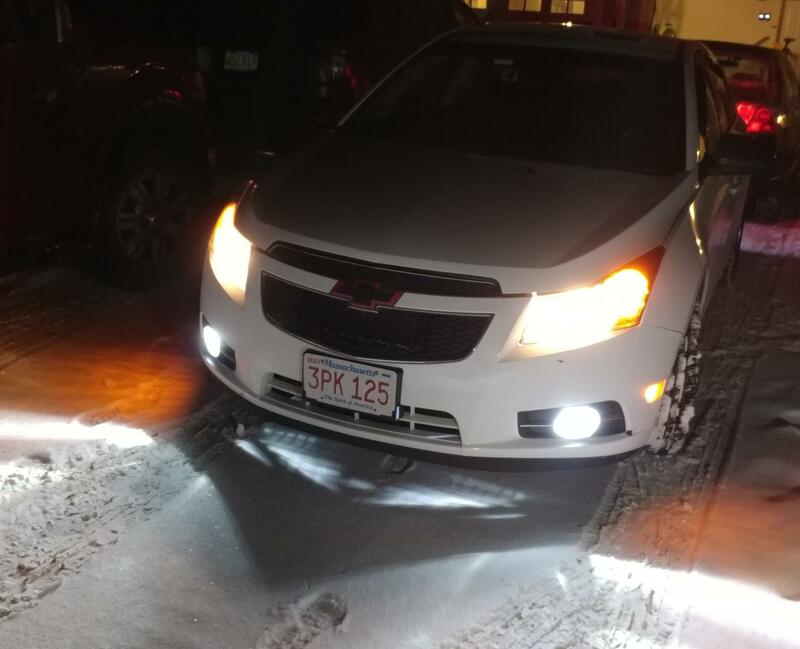 Installing fog lights on my 2013 Cruze late next week and just wanted to know if there are any need to knows? I will be doing it without taking the bumper off. -I will need to take the plastic coverings off the bottom to access the fog lights more easily. Any suggestions, helpful tips, things I have not prepared for..Please let me know and Thank You!! Don't forget the temp sensor. If the new kit doesn't have it, you'll need to use the existing one. Thank you! Totally forgot about that! Once I take off the old Fog Light insert I can just pop the existing sensor out and into the new insert right? Easy squeezy? It is easy, mine had a little play into the new housing. Glad to know its easy! lol Thank you again! I take it you purchased a non-GM fog light kit since you said you bought a fuse tap? If you bought a GM fog light kit, you wont need the fuse tap. Only bought the GM Fog Light Switch, not the kit. The kit is aftermarket. It is done! Thank you for the helpful tips and thank you to all of the members of this forum that posted tutorials etc. It has been done! Foglights are installed and working! phantom and Jacque8080 like this. Where did you get the pin for the switch from? What was the part #? Or did you just shove the wire in there? Any photos? Pin for the switch? I just swapped out the switch w/o the fog light button for the one with the fog light button. Nothing complicated thankfully!